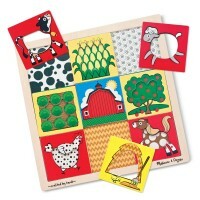 Welcome farmers, farm animals, tractors, red barns and more farm life into your play room, either at home or at your daycare center. 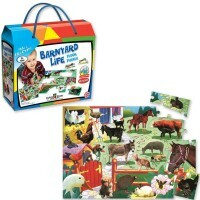 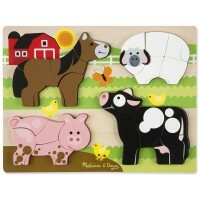 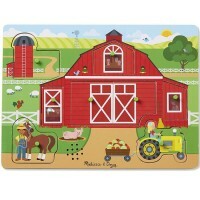 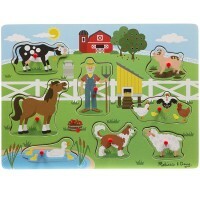 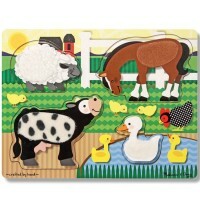 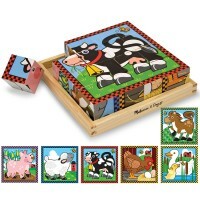 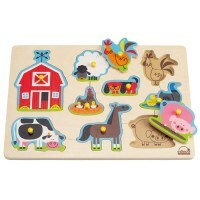 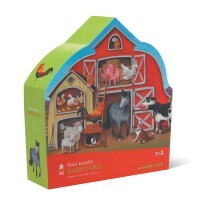 Farm Puzzles for the youngest children will introduce barnyard animals and farm life to toddlers and preschoolers. 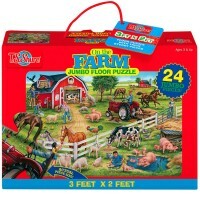 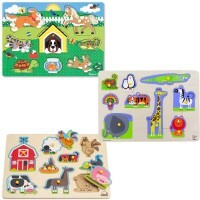 Find the wooden puzzles, sound puzzles, farm cubes, barnyard life floor jigsaws, touch-n-feel farm puzzles, jigsaw puzzles in barn shaped gift boxes and so many other varieties of the farm themed puzzles for kids of all ages. 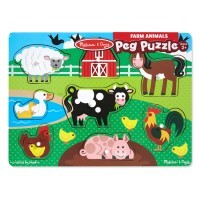 Farm puzzles from Educational Toys Planet are made by the best toy manufacturers, such as Hape, Melissa & Doug, Ryan's Room, Ravensburger, T.S. 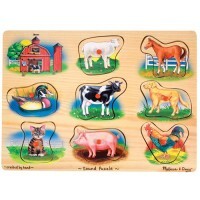 Shure, Alex and many others.